An industrial vision system that is scalable to fit your specific applications. 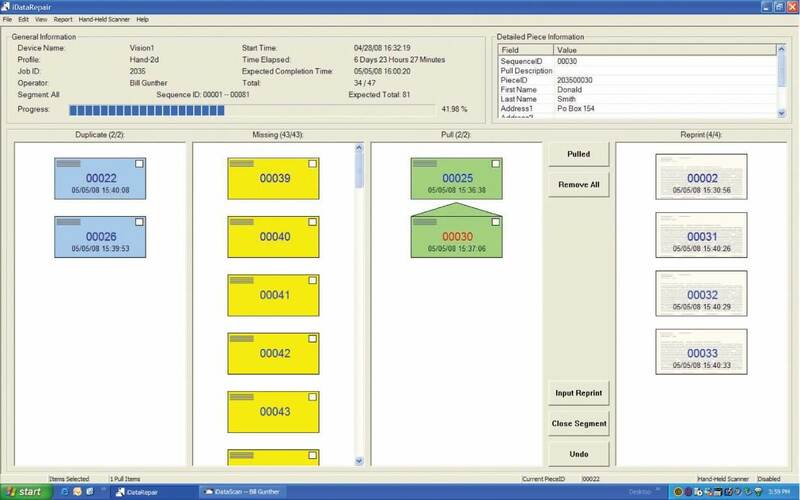 DDS can analyze your production environment and will recommend the right device to view one specific area or multiple regions of interest at one time. iDataScan™ easily expands into a multiple camera system for more complex applications. iDataRepair™ alerts the operator of processing errors such as missing or duplicated pieces and/or jobs. 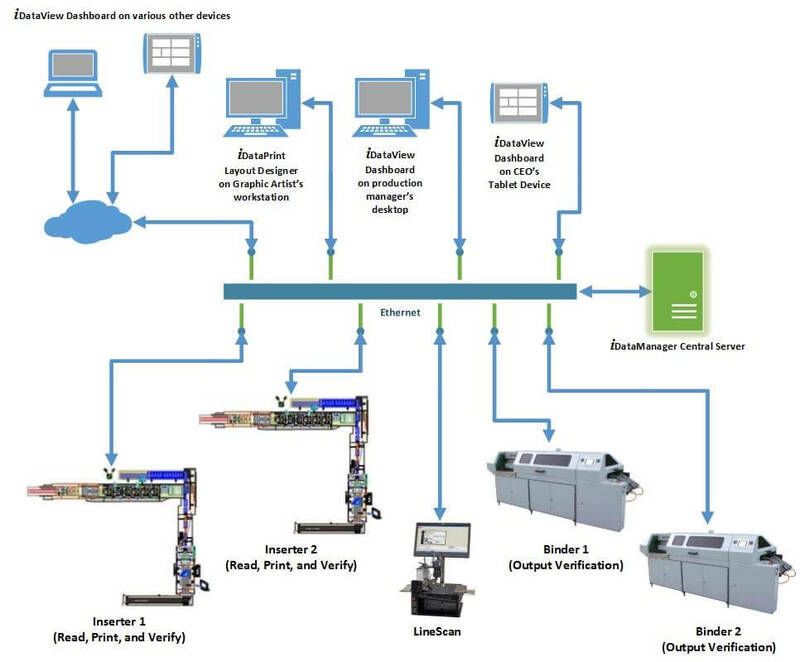 With the ability to network with other processing devices such as inserters, printers and perfect binders, iDataRepair™ allows jobs to be split across multiple pieces of equipment while still providing the highest level of integrity. iDataManager™ Central Server architecture is an enterprise-wide solution consisting of a suite of DDS software and is capable of managing information across multiple systems. iDataView™ connects your computer to the Central Server database displaying all current and archived jobs and reports as well as the up-to-the-second status of jobs currently in production. You can now check current production from you desktop rather than going to the production floor. A user customizable dashboard enables you to monitor operator and equipment efficiency, job integrity and more.